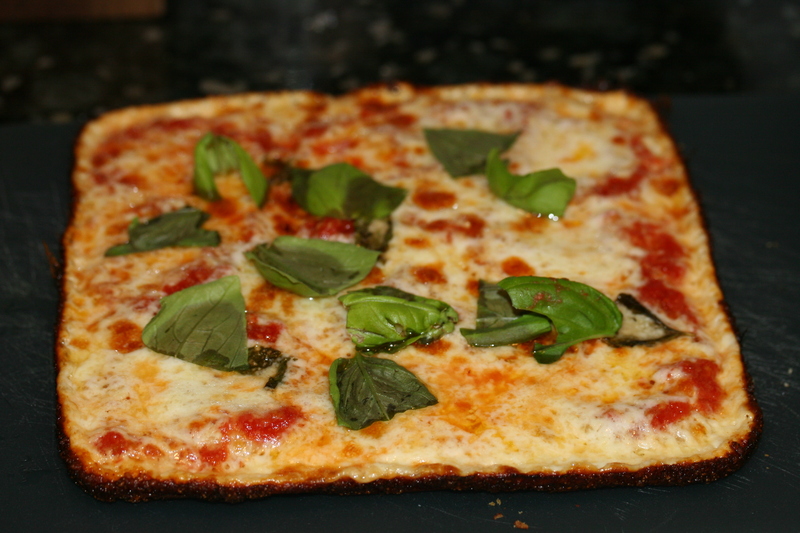 While I am still working on my pizza dough experimentation my Basil has been thriving in my herb garden. Tonight we were going to hunker down and watch the World Cup Finals. 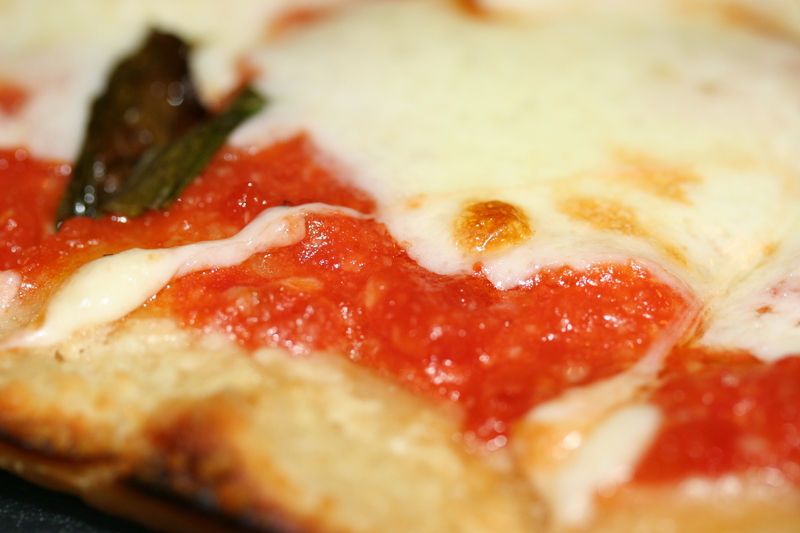 So I picked up a ball of dough at our favorite pizza joint and decided to make a Margherita pizza. This pie really turned out well. 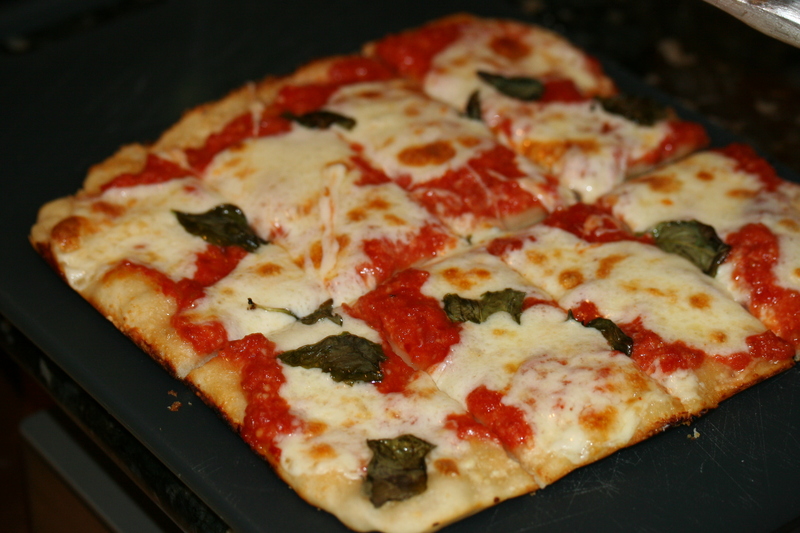 Thin crispy crust, perfectly melted mozzarella with a super simple tomato sauce and my fresh basil. I purchased one of those Presto gas powered pizza ovens because it can get up to 900 degrees. I prefer to stay at 700 degrees to let the crust really crisp up. So really the only thing I made here was the sauce and it was super simple because I cooked the two cloves of garlic in olive oil and added crushed San Marzano tomatoes and 2 tsp of sugar. 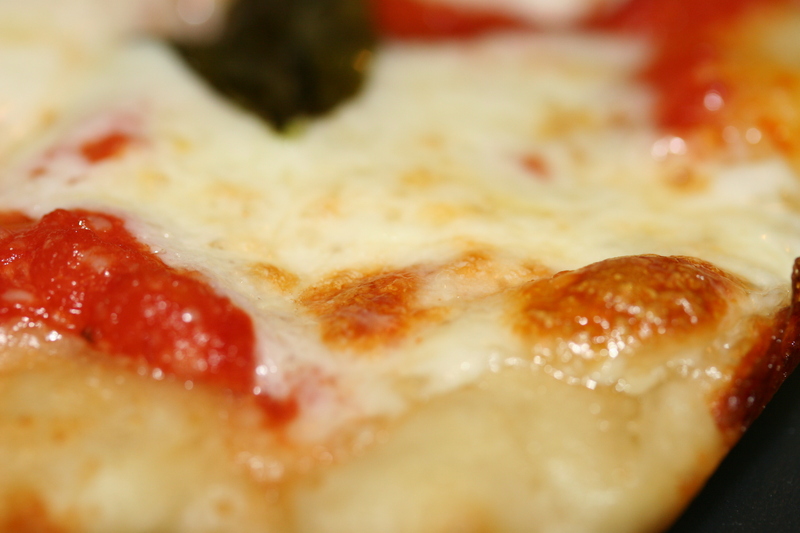 I also used low moisture mozzarella cheese. 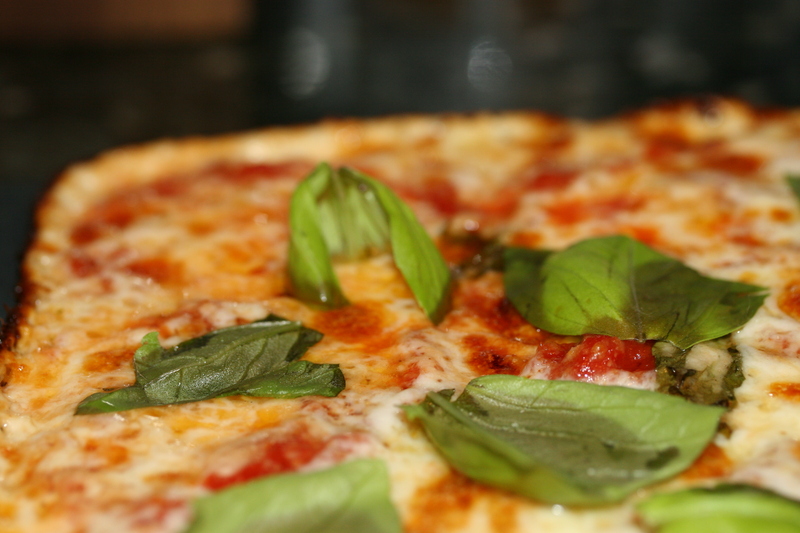 We recently saw an episode of Best 5 Pizza Places in the US on FoodNetwork. 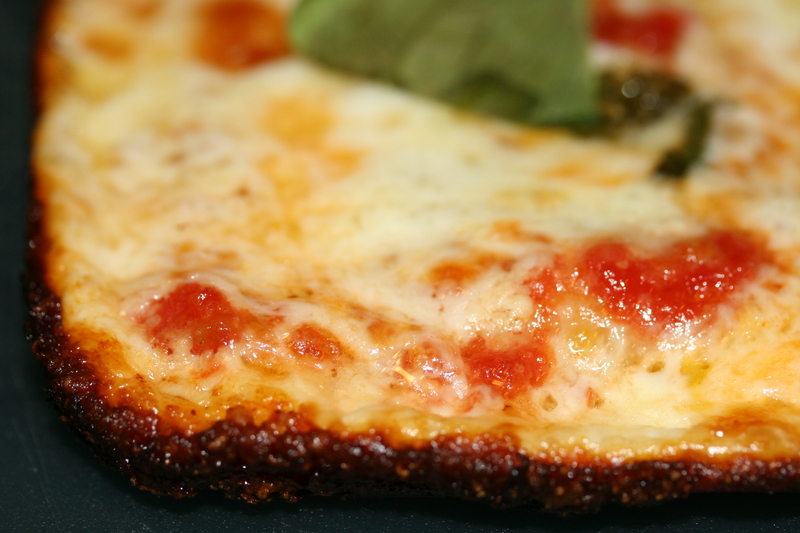 It showed the Chicago joint called Pequod’s that does a deeper dish but they line the edges of their pan with cheese so as it cooks it makes a nice crispy cheese edge. Jill tried it on one of the pies and it really did turn out perfectly. (if you’re into burnt cheese). 1. Made the sauce by cooking the garlic in olive oil for a few minutes and then adding the tomatoes and spices. 2. I took a non stick square brownie pan and put some olive oil on the bottom. 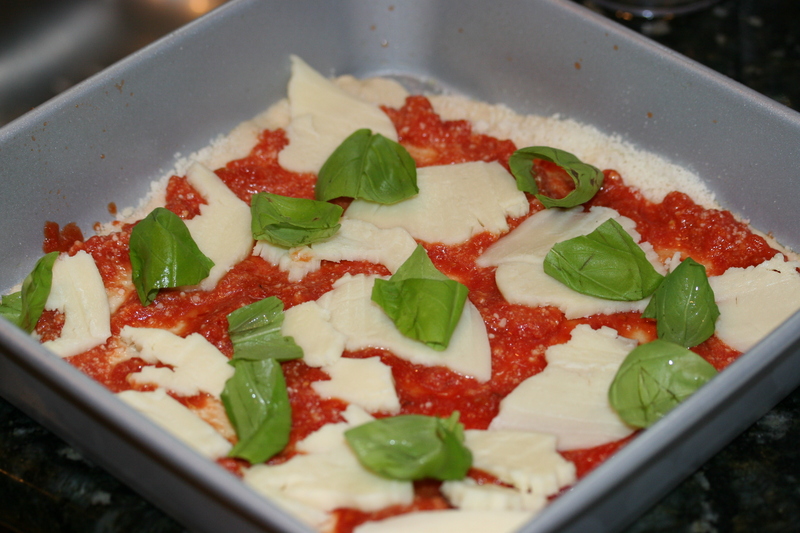 I spread out the dough to the edges and then added some parm, then the sauce and finally the mozzarella and basil. 3. My oven was right around 700 degrees so it took about 6 minutes to cook.